DPT was first established in Liverpool, U.K., back in 1974 by The Underwood family. Today it is still a family owned company and is now run by John Underwood’s two sons; Andy and John. For over 40 years, DPT have been manufacturing pool tables in Liverpool. Our pool tables have become synonymous with outstanding quality and excellent value for money, worldwide. We are the largest manufacturer of English pool tables in Europe and we supply over 30 countries throughout the world. Our ethos is to invest in cutting edge design, and quality manufacturing. We are constantly striving to improve our products. 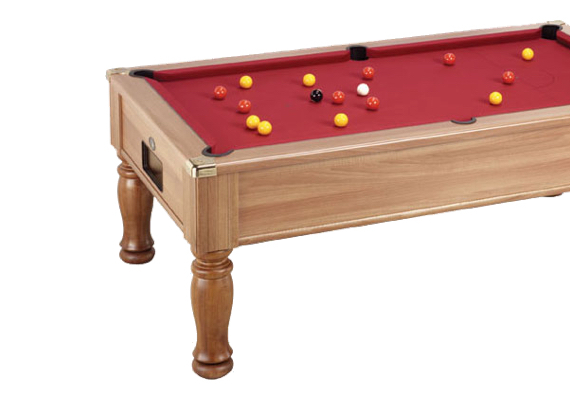 We offer a wide variety of pool tables and accessories to choose from. 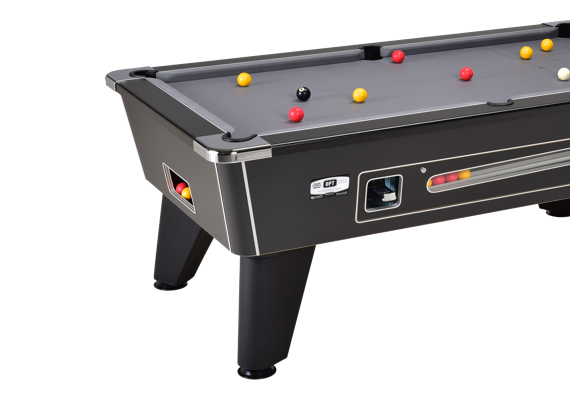 We manufacture two coin-operated, pool tables for commercial locations; The Ascot and The Omega – both tables are ideal for pubs, clubs, hotels, youth clubs, etc.. In the domestic range (for the home), we offer freeplay, ball return tables. We have seven models to choose from, including the Outdoor Omega pool table. To complete the range, we also manufacture a range of duel purpose pool / dining tables – These models are ideal if you are short of space. One table, which easily converts from a pool table into a dining table. There are seven models to choose from. 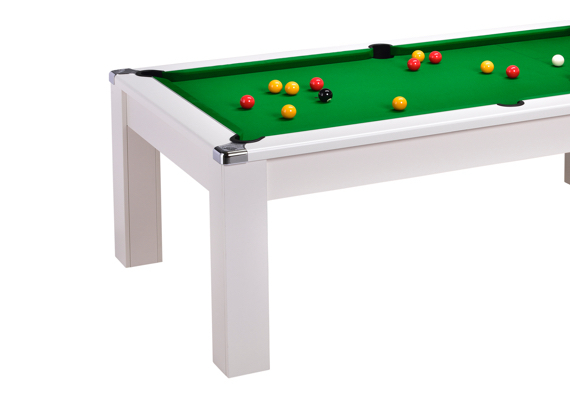 All tables are manufactured to the same exacting standards as the coin-operated range, for the ultimate game of pool. Pool Dining tables are supplied with a pair of matching dining tops, which are easily fitted to the top of the table. This model makes an ideal investment. All our tables come complete with a set of balls, cues, triangle and chalk. We are very proud of our manufacturing facility, which at over 30,000 square feet is one of the most up-to-date and modern facilities of its kind, in Europe. We take immense pride in producing superior quality pool tables that provide the perfect surface for all players; both professional and amateurs alike. 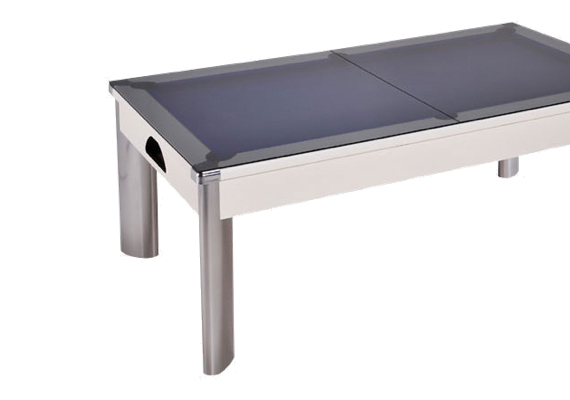 As you would expect, we can also offer you a wide range of high quality pool table accessories, to go with whichever style of snooker or pool table you choose – these include cue racks, triangles, and even special pool ceiling lights. Whichever model of pool table or snooker table you choose, it is sure to become a much loved and used piece of furniture, and with the knowledge that these tables are designed and manufactured in the UK – one that you will be proud to own. So why not invest in one today?